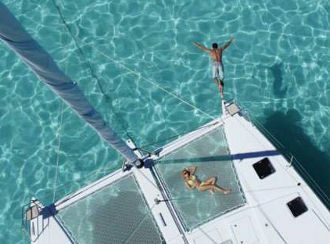 Experience French Polynesia on a journey, filled with exclusive insider access opportunities, planned by local experts with your interests and preferences in mind every step of the way, backed with 24/7 support located in Tahiti. 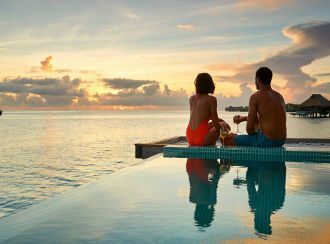 When it comes to planning a Tahiti vacation that is just right for you, there is no substitute for working alongside an expert — and EASYTahiti has the best, based and living there, trained like no others. Our Travel Consultants, all dedicated travelers in their own right, work closely with you to create a made-to-order journey of a lifetime, optimized to make sure you get the most out of every moment. They'll learn how you like to travel and what kind of activities make your vacation meaningful to you. By doing you planning yourself you only rely on information available on the internet, we rely on our experience of tours we have done, on the nights we've stayed at each accommodation. With plenty of information available on the internet, you can spend hours and days preparing your vacation to French Polynesia.It makes sense to entrust your most valuable asset – your time – to an experienced EASYTahiti travel advisor. Our advisors spend a lot of time in the islands themselves – scouting out hotels, deepening relationships with tour guides, and finding the best restaurants and things to do. It's a common behavior that by booking yourself directly with hotels and tour companies, you save money on your total vacation price because if a travel advisor is involved, you'll have to pay for this service. We can prove you it's not the case at all in Tahiti! By benefiting of our negociated rates at hotels, BnB, cruises, tours and airlines, we pass you at least a 5% overall discount on the suppliers public prices. There's no better way to save on your next vacation to French Polynesia then buying the whole travel package from us. + Pay a deposit of $300pp only to secure your vacation. Installment payment plans available with no fees or interest if you decide to book a custom vacation with us. Every traveler is different — and so is every Luxury Tailor Made Journey. We consider what you want to do and how you like to travel, and then put that knowledge to work to make a journey uniquely yours.Create a journey based on one of these themes, mix and match them or make up your own for a journey that’s just right for you. There's no better way to save on your next vacation to French Polynesia then buying the whole travel package from us.